I was busy lately. I couldn’t even find time to update my blog! Recently, I’ve been working on a few things. I didn’t realized i have failed to spend times with The Fluffies and failed to make the weekly routine until i found this. This is Mocha’s incisors today. He has a difficulties to pick up raisin from my hand. One of the peg teeth has misaligned. The lower incisor worn out. Healthy teeth should have clear color. 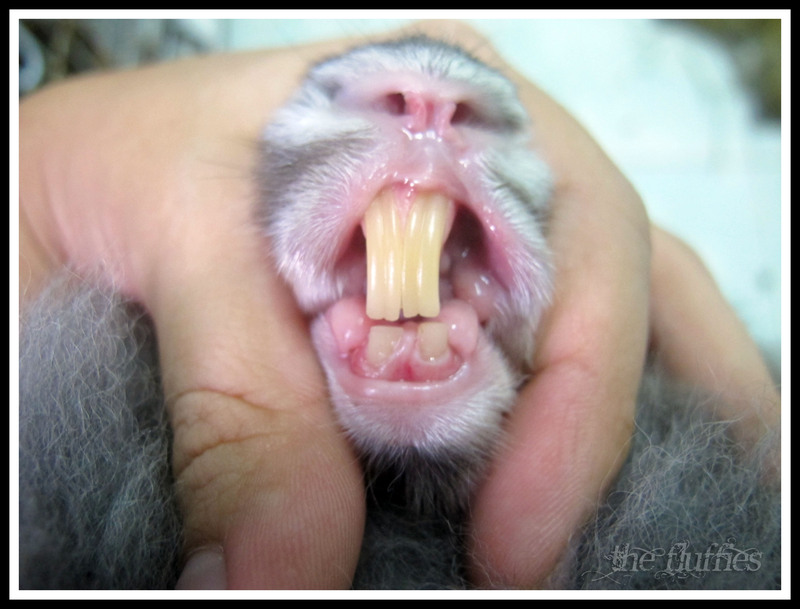 But as u see from the side photo, the upper incisors start to turn white in color (click photo for bigger view). He lost the lower incisor in Feb 2011. This was how the the incisors looked like previously. No white patch on the teeth. 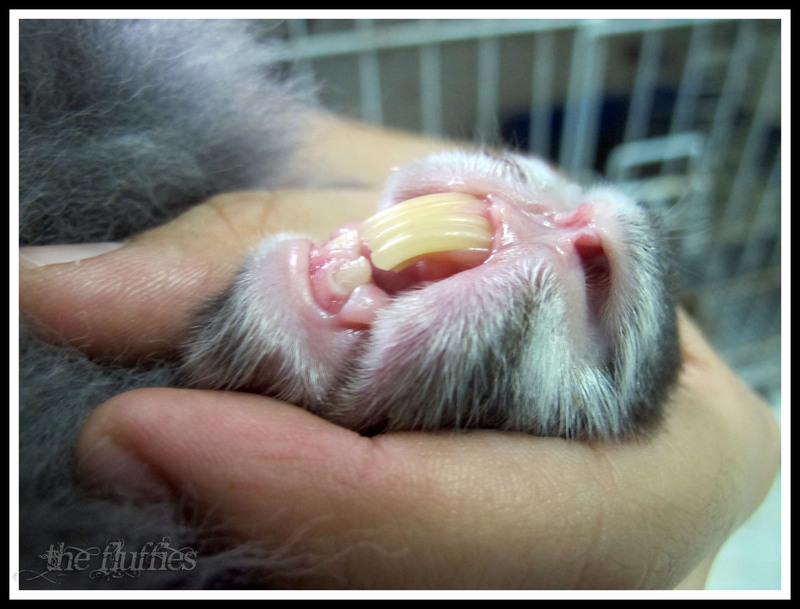 And this is Mickybell’s (Mocha’s littermate) incisors. Mickybell’s upper incisors look longer than them supposed to be, but they’re still aligned. 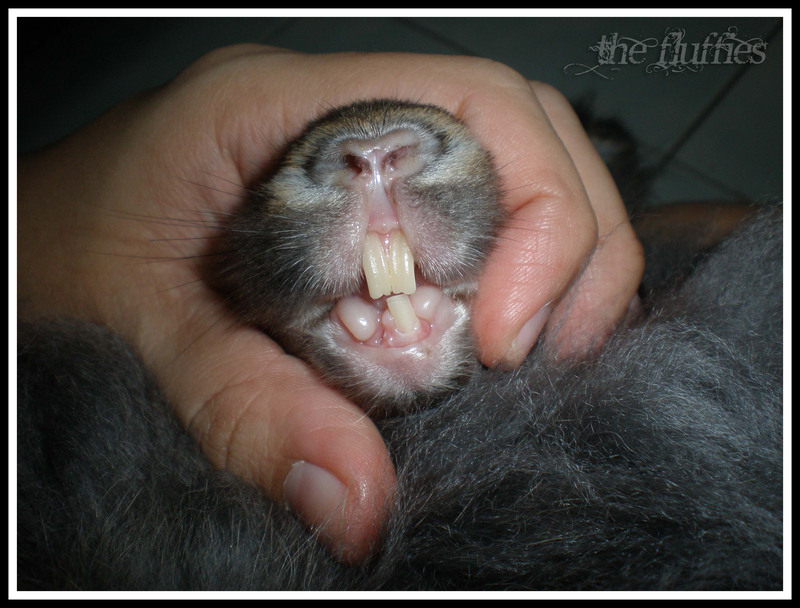 Alfie lost his lower incisor too, the same week Mocha lost his (Feb 2011). We sent Alfie for teeth burring. 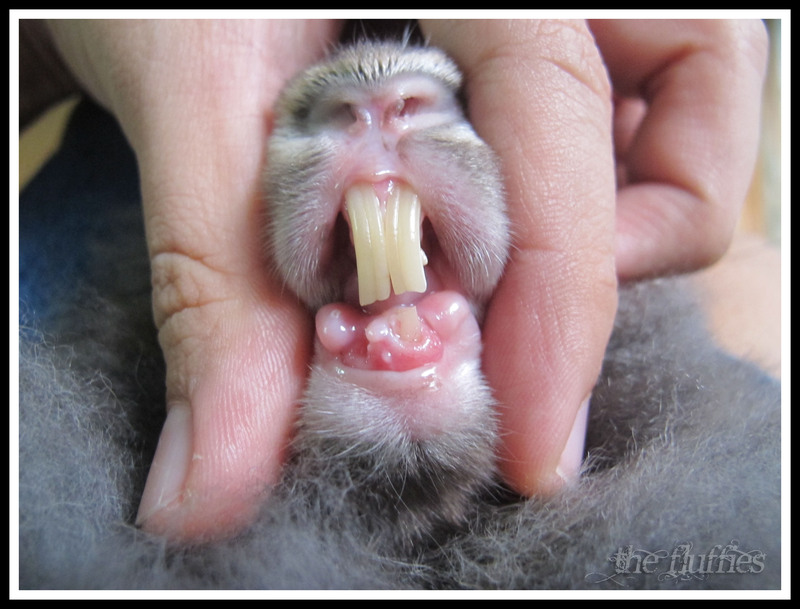 2 weeks later, the upper incisors grew back to their original length. But until today, the length remain the same. So i’m not really worry about him compared to Mocha. Will send Mocha to the same vet who perform teeth burring to Alfie. Now i have to monitor these 3 Fluffies VERY closely.